Happy Memorial Day weekend! Around these parts, Memorial Day weekend is the official kick-off to the summer season, filled to the brim with kick-in-the-pants Montana events and activities designed to welcome summer with open arms. Sidenote: In case you haven’t noticed, Montana (especially in the spring) can be a bit temperamental. Heck, we’ve even been known to call her a drama queen. But drama or not, we still love the gorgeous girl. ‘Just be sure to roll with the punches and pack appropriate attire to be ensure you stay cozy all weekend long. There are no time restrictions in place for bicyclists on the Going-to-the-Sun Road this weekend, which means cyclists can ride to their heart’s delight on open portions of the road. 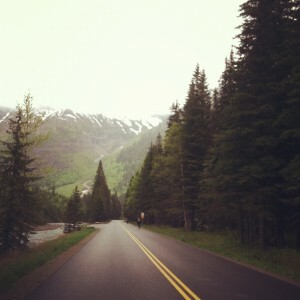 An added bonus: biking the Going-to-the-Sun Road is one of the most memorable ways to experience the park. While this year marks the 38th year for the Bigfork Whitewater Festival, it’s also the year that the festival is mixing it up and adding new events and races to the roster. New this year: raft races, a Stand-Up Paddle Board Race, triathlon and kid’s activities. Rounding out the weekend is the Whitewater Weekend Jam, with live music on Saturday and Sunday nights. 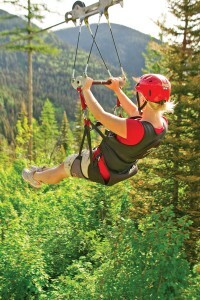 While the mountain officially opens for the summer season on June 15, zip lines are rocking and rolling this weekend! Tours go rain or shine (luckily for us! ), so be sure to wear a rain jacket and closed-toed shoes. Flying high above Big Mountain at Whitefish Mountain Resort. This free community event celebrates local art and wildlife, with art demonstrations, wildlife programs, films and children’s activities. 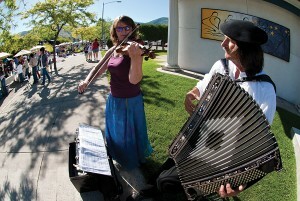 As Montana’s flea largest market, this is a not-to-be-missed event. Scoop up local bargains, fill your bellies on Montana treats and bask in the treasures found at more than 200 vendor booths in St. Regis. Okay, so it’s not a real spelling bee, but the Bigfork Summer Theater’s performance of the “25th Annual Putnam County Spelling Bee” is sure to be a crowd-pleaser with enough laughs to make your weekend a happy one. The communities of Bigfork, Hamilton, Kalispell, Missoula and Stevensville are hosting farmers markets on Saturday, where you can pick up a plethora of local goodness. Situated on the shore of Flathead Lake, The Raven is hosting live music all weekend long! The Lil’ Smokies will be busting their tunes Friday night, followed by DJs spinning sweet beats on Saturday and Sunday nights. 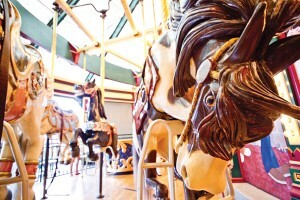 Happy 18th birthday to A Carousel for Missoula! In honor of their birthday, the Carousel is giving away free rides ALL day on Saturday. Happy birthday to you, you lovely little treasure! 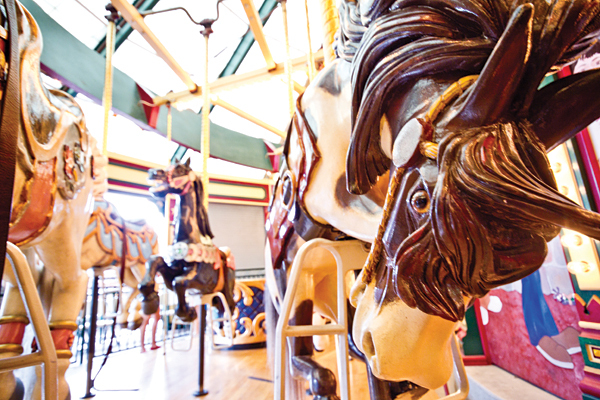 Celebrate the Carousel’s birthday with a ride on one of the hand-carved horses. Kick back and soak in the natural hot springs at Symes Hot Springs Hotel. In honor of Memorial Day, the hotel is hosting live music on Friday, Saturday and Sunday nights. PS: Be sure to swing over to Camas Organic Market for weekend treats. Wishing you all a safe, happy, fun-filled and relaxing Memorial Day weekend! This entry was posted in Events, Family Fun, Outdoor Fun, Things To Do, Uncategorized and tagged Events, Farmers Markets, Glacier National Park, Missoula, Play, Spring, Whitefish Mountain Resort on May 23, 2013 by tiatroy.